It's hard ... it's hard because I saw it, and the premiere in the U.S. is on the 19th of May. Not because I would start clattering with spoilers, but after the last one, Prometheus, I had expectations from the new film. Oops, I already think I pulled a signal. You don’t have to worry, I will not reveal anything. Maybe you could say what is the point in writing about the movie, and why would you waste your time reading something that would be useless from the beginning? Because I think if I were to characterize the movie in a word I would say… Pretentious. 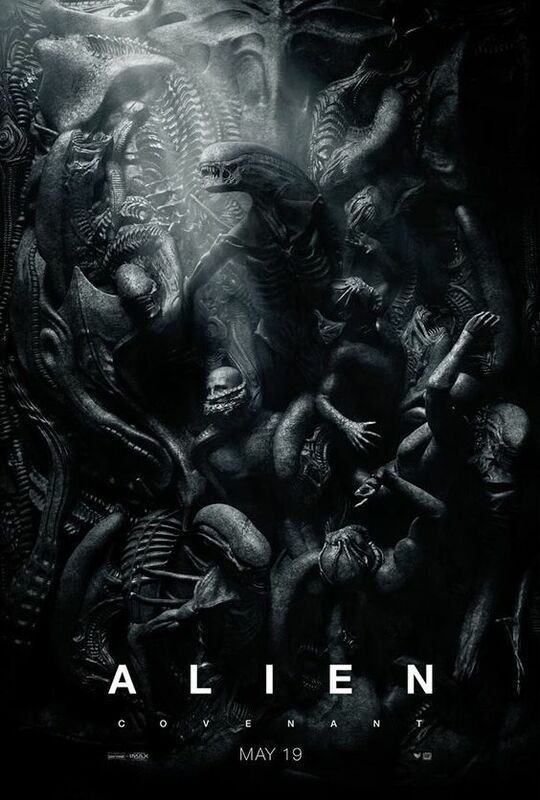 I miss the old Alien movies, their atmosphere and their plot. I’m a little surprised about this new course that the series took and I don’t see the purpose of it. There is too much philosophy, and sincerely, not of a good quality. Of course, being an action movie and not an art film for a small audience, it was supposed to tell the story in a way that everybody will understand. Obviously, I didn’t want to see a B movie full of imbeciles that shoot left and right and nothing more, but never they should have tried to make from Alien a Greek tragedy. Yes, the story about the Creator and his creation, and the conflict between them, as old as the world, is back in the new movie. But the answer, at least in Ridley Scott's vision, is far from being found, and I also think that you will not be satisfied by the conclusion that movie brings. Still after 200 years there's no one able to write a better story on this subject than Mary Shelley with her Frankenstein. The conclusion that I'm drawing here (maybe I'm a little malicious) is that the director has reached an age at which he has begun to embrace some existential questions. It’s okay by me, but maybe for the next movie, they will try with somebody else, perhaps a little bit younger? Another thing I didn’t like was the pace: slowly, steady, without surprises. Sure, we all know that the subject and the plot of the series it's a theme with variations. But here is the challenge: to reinvent the emotion every time. To drip suspense over a well-known theme is the wish of all the fans. Would you like it? Well ... bummer! Otherwise it is okay, hey, we're talking about a big budget movie, right? That’s enough! Maybe we'll talk again after you’ll see it. Final conclusion: If you are a die-hard fan, go and make your own idea. If you are not… better look on the movie program, maybe you have missed something. My heart is thumping after just watching your trailer with the sound off!